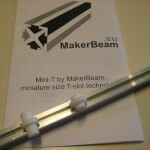 James Hardiman made a x-y carriage using MakerBeam and the bearings we sell through our webshop. It is the world’s first MakerBeam x-y carriage. Or so we think. Let us know if we are wrong. The design looks good. We do have some comments though. Here the bearings are on the inside of the frame. If you put them on the outside there is more space for the frame to move. Also if you use three bearings in one dimension it is stable. Then a single beam would be stable and you do not need a frame to realise stability. James Hardiman is working on a book about 3d printers. He is also looking into the power of making. What is happening with 3d printing, homemade cnc machines, sites like etsy.com and makerfaires in various places is sometimes referred to as the industrial revolution 2.0 or micromanufacturing. 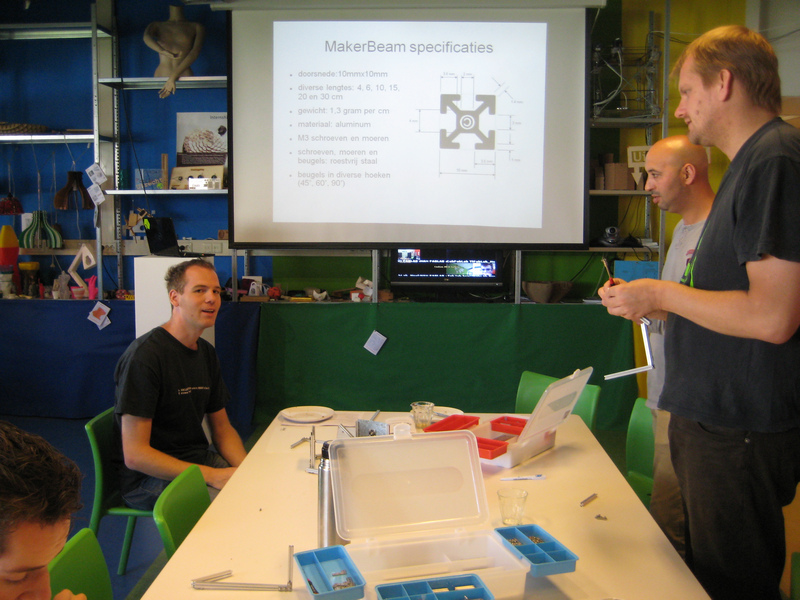 Johan and James met each other in the Netherland at ProtoSpace, the fablab in Utrecht. 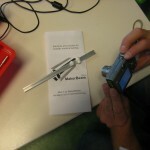 There Johan handed James a MakerBeam starter kit. The x-y carriage is James his first serious MakerBeam project in connection with his book on 3d printers. We love the initiative. Thank you James!! 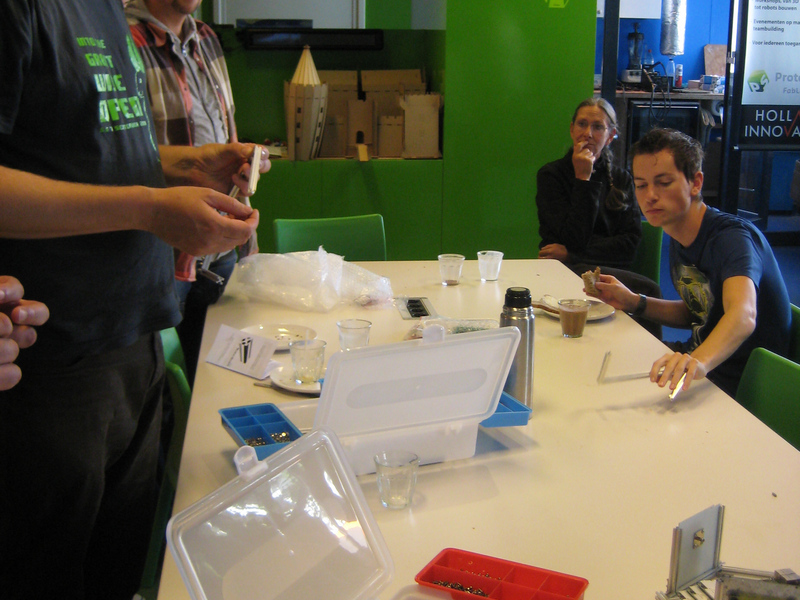 Thursday September 1st we were at Protospace FabLab Utrecht to give a lunch lecture and introduce MakerBeam there. 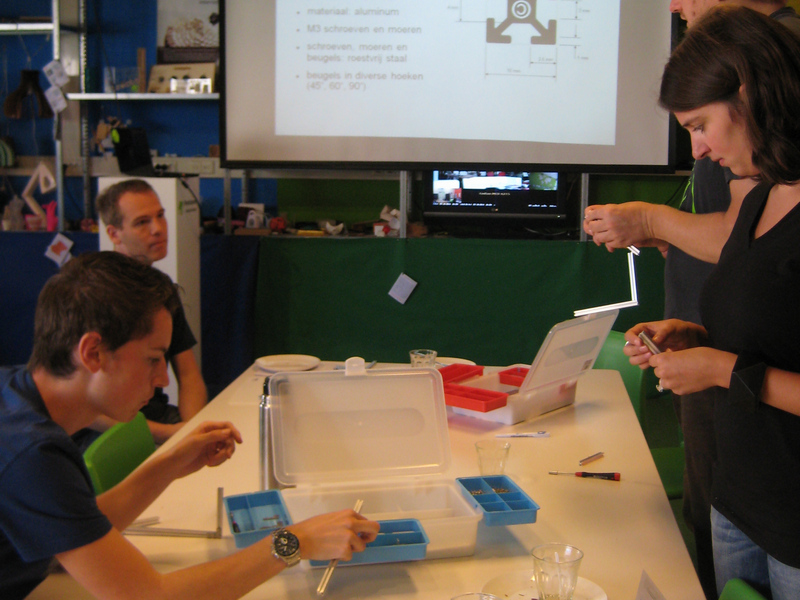 There is a lunch lecture every month at ProtoSpace. The topics vary widely. The lunch lecture is a very informal meeting. For us it was a good opportunity to introduce MakerBeam to a small but interested audience. We left one kit behind. FabLab’s well filled toolbox now has a new addition. Pictures were taken for the website of protospace. A FabLab offers the ideal environment for prototyping. 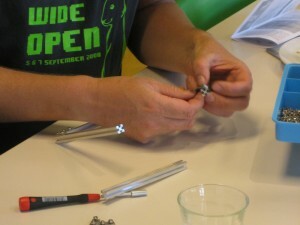 Johan hoped to work on the Wandy lux after the lunch lecture. That did not work out that day. Instead he worked on sheaves to fit our aluminum Mini-T profiles. It gave us information about what size and shape we want. Now we are looking for sheaves we can buy of the shelf. 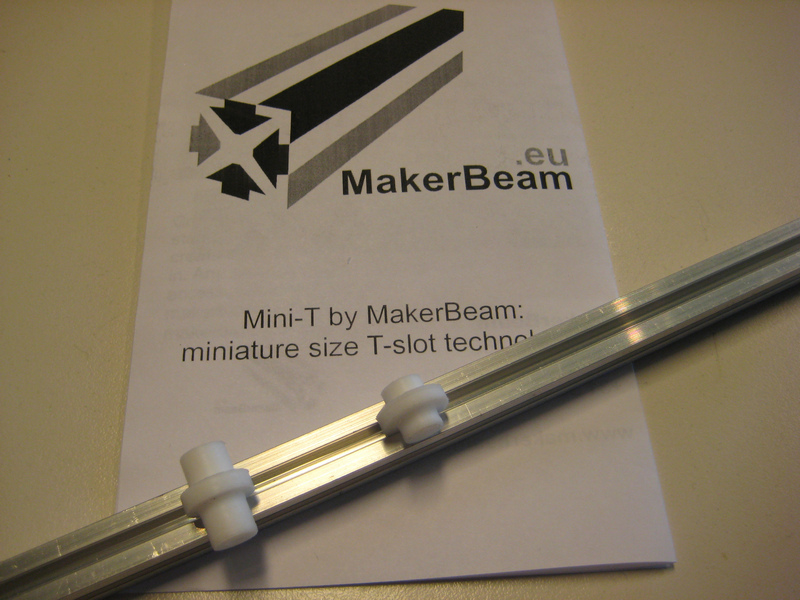 We feel that MakerBeam needs more accessories to truly make it irresistible material and are looking for accessories to complement the MakerBeam starter kit. We will keep you posted on this topic. Johan his prototyping plan also did not work out because of a very interesting meeting we had with the guys from Ultimaker. 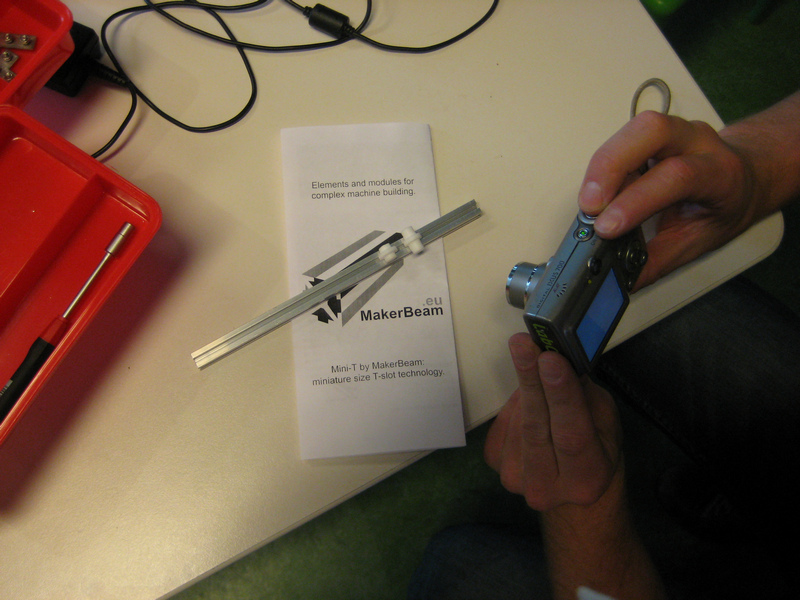 In our next post we will tell you more about this spontaneous meeting of maker minds. It is this meeting what prompted the sheaves prototyping excercise.